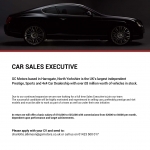 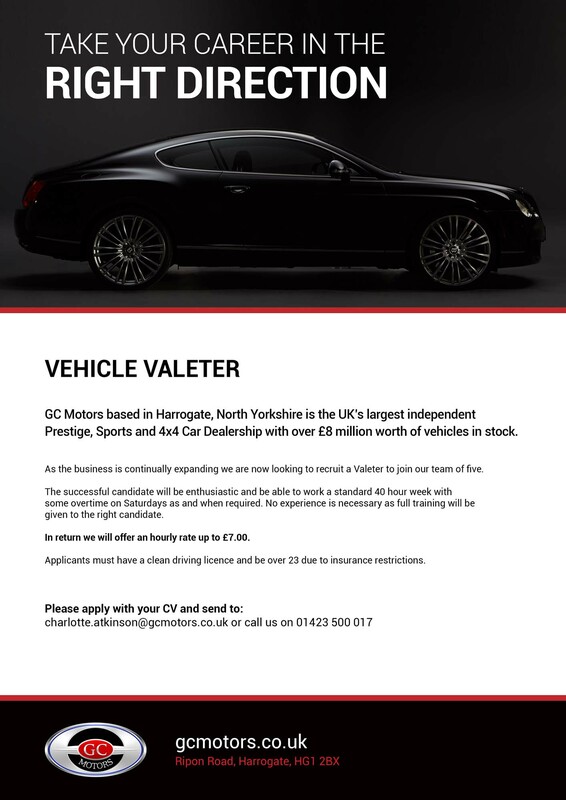 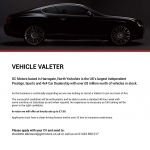 GC Motors and GC Motors Service Centre based in Harrogate, North Yorkshire is the UK’s largest independent Prestige, Sports and 4×4 Car Dealership with over £8 million worth of vehicles in stock. 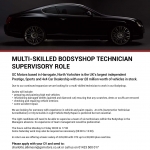 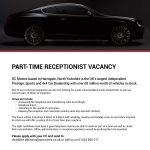 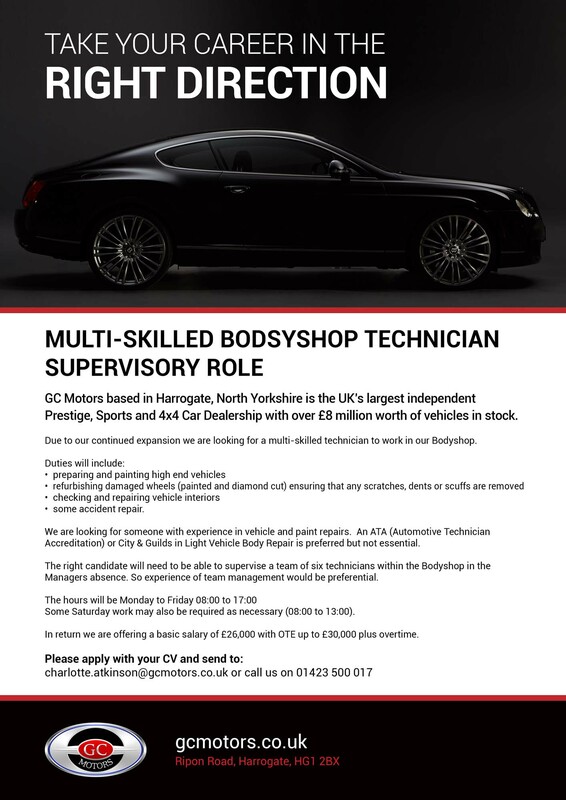 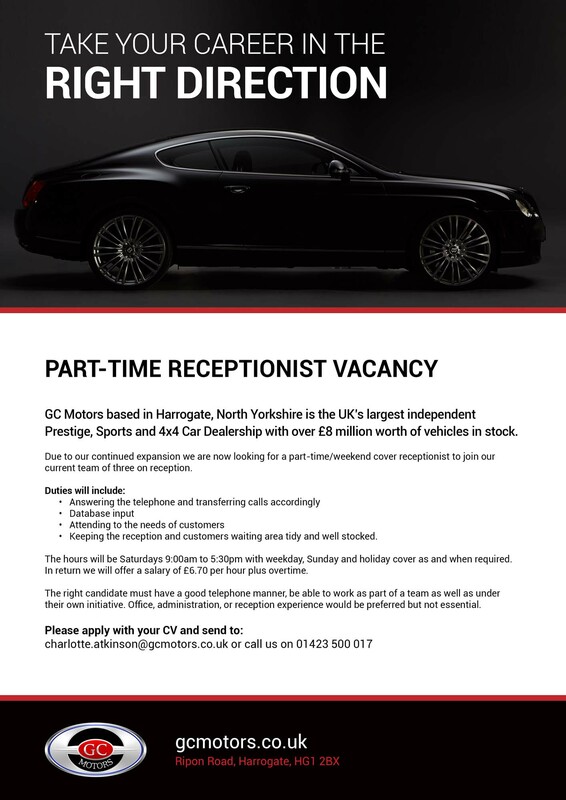 If you are enthusiastic about cars, then we can offer you a fantastic career opportunity, with all the support and expertise you require. 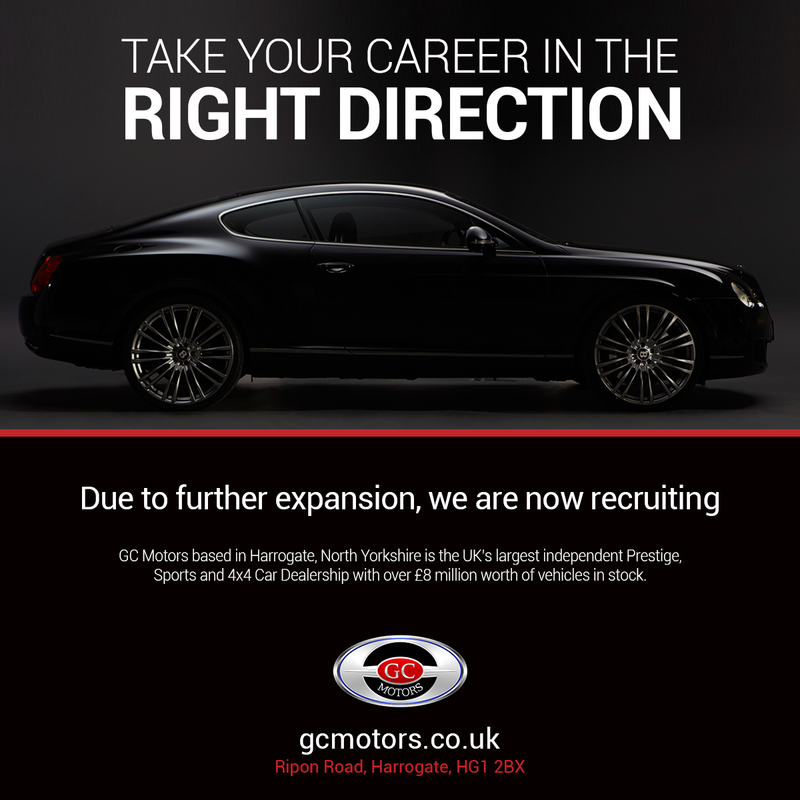 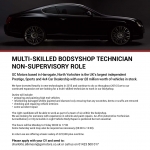 If you are looking to work in Sales, Service, Body shop or Administration, then GC MOTORS is here to support you all the way in your career within the motoring industry. If you feel you have the drive, enthusiasm and strive to be the best, then drop us an email with a few of your details.